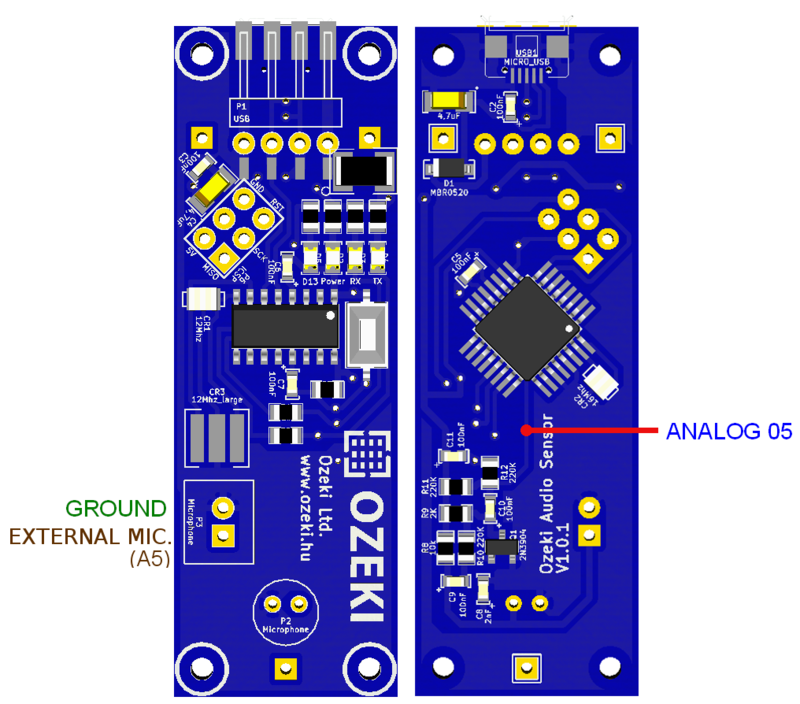 The Ozeki Audio Module is a modified Arduino Nano, that was built to capture sound with microphone. This is an open source board, with all the files needed for manufacturing. You may also freely modify the design. 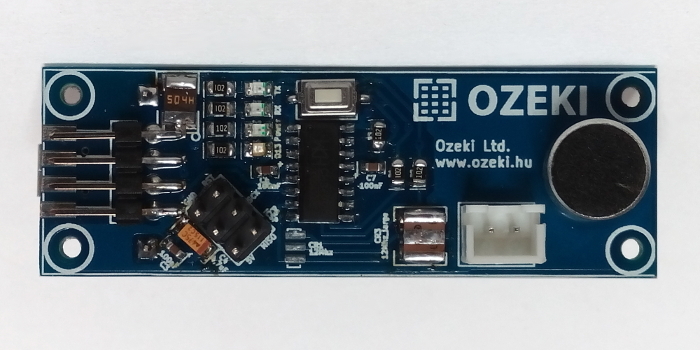 The Ozeki Audio Module contains an ATmega328P microcontroller so you can program it just like an Arduino Nano using the Arduino IDE environment. It has a micro USB port, which is compatible with mobile phone USB cables. 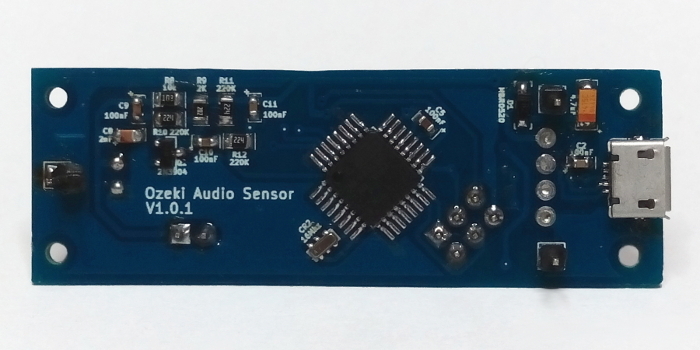 It is better then using an Arduino Nano, because it is more compact solution, since the microphone is soldered directly to the board. You can connect the microphone to it or solder it to the module. image you can see how it is wired to the ATmega328P microcontroller. It listens to the integrated microphone of the Ozeki Audio Module. Checks the intensity of the sound and writes it on the serial. Every time it detects a bigger intensity then 140, the default led on pin 13 will light up. 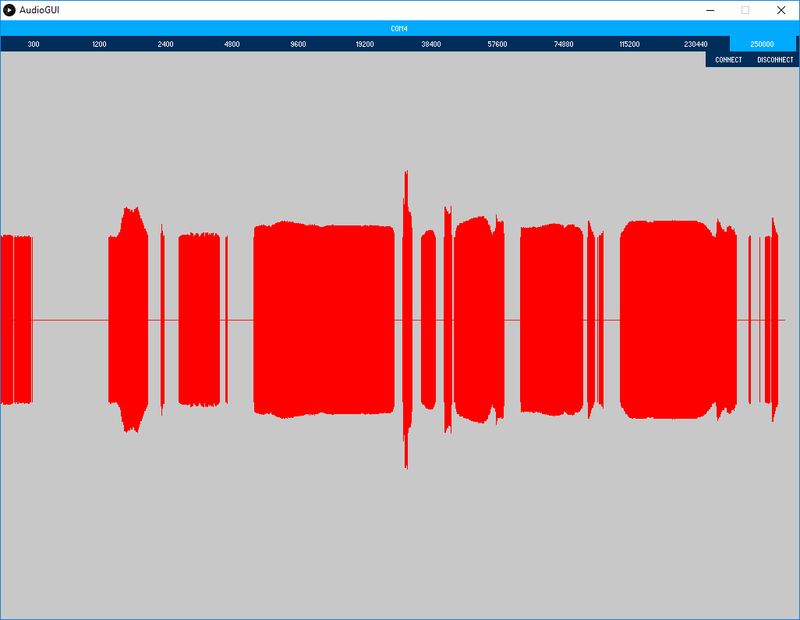 It can send the sound intensity information to the GUI which is designed to graphically show it. Step 4: In the GUI select the COM port of the module and the baud rate (our example is set to 250000). // This is in the range of an electret microphone. // by setting the ADLAR bit in ADMUX. //between the XTAL frequency and the input clock to the ADC. Source Code 1 - Arduino example for converting audio input voltage to integer. It uses the A/D converter.